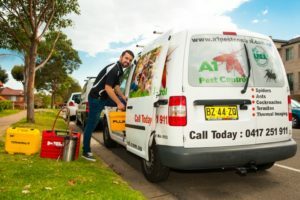 Low & Non Toxic Pest Control Treatments for Sydney Properties! Bruce Gow is now an accredited Termidor operator who has undergone intense termite control training and is one of the few accredited Termidor HE applicators. Our advanced pest control operators are able to offer protection to your home using the most effective white ant (termite) management systems using the safest available treatment. We have upgraded training to ensure highly efficient installation of an enhanced treated zone with minimal disruption to your home and surrounding environment. “Thank you so much for sending Tom today, he was fantastic and the agent commented on what a great pest company we had hired. We have put an offer in on the house so fingers crossed. At A1 Pest Control we realize that your time is valuable and we won’t waste a minute of it. Our staff are always punctual and very friendly, taking care of any pest problem areas with a smile! Read our testimonials to see just how happy our past customers have been with our stellar service. How Long Will A Treatment Take? Treatment times do vary but generally our technicians will be at your property for 30-60 minutes completing a treatment. Pantry Moths may take a little longer if we have to remove contents and clean shelves. You can save time and money if you can prepare this before our arrival. Business and Commercial treatments will generally run for an hour as we focus on the infested areas. Our low-toxic treatments also leave NO ODOURS, so don’t worry about your home or business smelling for weeks as with some treatments. Exterior treatments might smell have a faint smell for around 30 minutes as the treatment area dries. Below are some testimonials from a few of our many happy clients! I would like to thank you and your team for a pest control job completed in my place at Bella Vista, well done. Peter’s customer service was just outstanding. This small clip shows our pest technician, Peter, describing termite activity and evidence on a property in The Hills District, NSW. We have now acquired the best termite inspection & detection tools in the industry, a Fluke Thermal Imaging Camera and Termatrac‘s latest detection device, the T3I. Less than 5 firms in Sydney have this powerful pest management combination! Wouldn’t you rather have the most accurate inspections available in the industry for your most valuable asset? If pest control is a problem for you, then we are your solution! Our Pest Exterminators will protect your home your from all types of Cockroaches, Mice,Ants, Termites, Spiders, Wasps, Bees, Rats, Bed Bugs or any pests that are causing you grief, and that’s 100% Guaranteed! If you are ever required to undergo a home building inspection when you are buying or selling your home, we are able to provide very concise pest reports, (also known as a pest inspections) termite reports and of course, advise you on your best protection against TERMITES. We’ve been in the industry and area for over 35 years and are Hills District termite specialists. We also consult to other timber inspection firms for problem jobs that have undertaken certified inspection reports that haven’t picked up problems because of lack of access. Unlike “Flick Pest Control” & “Rentokil” as they aren’t Australian firms in our industry, but foreign owned. Some time ago now the Danish firm ISS bought out our Flick pest control and their hygiene services business from WD Flick & Co Pty Ltd.
Rentokill’s head office isn’t in Australia, it’s in Leeds & Edinburough UK. We have over 30 years experience & accreditation in the safe protection of homes, Factories, Commercial Offices, Child Care Centres, all types of Schools, Government Buildings and Halls. So Far The Quality Is Still Good. As It Is A 3 – 6 Months Guarantee Work, We Need To Continue To Observe In The Next Few Month About The Quality. Thanks. Nice Young Man Name Tom Came Right On Time. Did A Thorough Inspection And Treatment Of The Whole House And Outside Area. He Even Left Some Ants And Cockroach Baits For Me To Use. 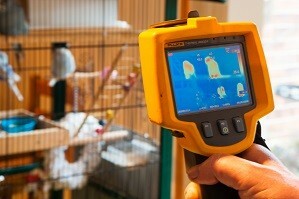 I Have Used Other Pest Companies Before, Not One Was As Thorough As This One. Reasonable Pricing And Great Service. Will Use Again! Arrived Right On Time And Gave An Accurate Estimate Of How Long The Job Would Take. Answered Questions Clearly And Professionally. Not The Cheapest Quote, But The Quality Promised By The Initial Response And The Website Was Delivered, So Seems To Be Good Value. Recommended. Nice Guy Turned Up, Explained Everything Really Well. Listened To What I Needed & Got To Work. I Would Use These Guys Again. 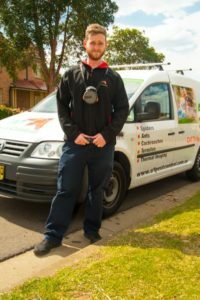 We service across the Sydney Region. Including The Hills District, Northern Beaches, Western Sydney, and Inner West. Ring us up today if you’re unsure whether we service in your area and we’ll arrange for an appointment. If you’re curious or have been confused by previous pest controllers about pest control terminology then have a look at our helpful new Pest Control Directory here! Anyone who’s though about organizing a pest control treatment somewhere in Australia knows the name “Flick”. Started in 1918 in Parramatta NSW as “W.A Flick & Co” by William Albert the company has grown to be one of the most renown names in the industry. Sadly Jack Flick recently passed away at the age 94 after being “bred” into the pest control industry. Feel free to read more about him or Flick Pest Control here. Safety, environmental care and customer service are our foremost concerns when treating your home or business. 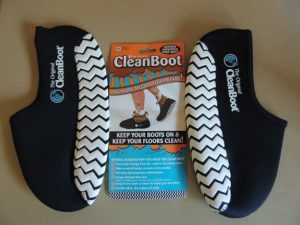 In fact, we even guarantee to keep your floors clean from muddy foot prints! We will never, ever any use fuming-type insecticides that will help drive you right out of your home. Also we promise NEVER to slop pools of spray all over your floors. Certified As Well Physically Fit and Experienced! Our staff have been trained to be environmentally aware and as such only environmentally friendly treatments are conducted by our firm. Making use of very low or non-toxic insecticides and pesticide we break the breeding cycle of pests, not just treating the infestation – this then reduces the chance of future infestations. 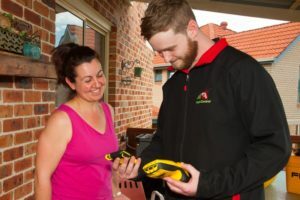 All of our technicians also have the necessary qualifications and certifications to conduct pest control management, combined with the many years of experience we deliver excellent and professional service every time. Our technicians are also all physically fit and capable to conduct treatments without breaking a sweat. Treatment costs will vary depending on the situation. Factors that affect our rate include property size, severity of the infestation as well as the ease of access to problem areas. To discuss pricing for a treatment ring us on 0417251 911, you won’t be disappointed! Alternatively you can contact us online,send us amessage for your free quote or for some advice. Our services are all carried out with a smile and many come with comprehensive warranties to give you peace of mind. Penrith and Western Suburbs areas are part of our service area and we are sponsors of Vintage FM Radio station. Termites of course are our specialty, especially providing protection for your new home or when they invade your home or business. Ask us before you book about your 100% risk free money back guarantee if we can’t solve your problem! At risk suburbs include Castle Hill, Winston Hills, Dural, West Pennant HIlls, Glenhaven, Cherrybrook, Kellyville and Parramatta areas. This is because they are situated close to bush and that’s where white-ants flourish! 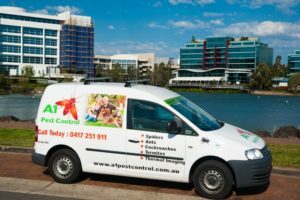 A1 Pest Control has highly trained, licensed pest technicians servicing all Metropolitan areas of Sydney, Australia. Call 0417 251 911 for great free advice. Our major clients include a variety of Federal, State and Local Government Departments, Hotels, Motels and Restaurants, Hospitals, Nursing Care, Clubs and Restaurants. We help stop your problem job from becoming a nightmare! We ONLY use non-toxic and low toxic products to rid your home and business from annoying and damaging pests. call 0417 251 911 for help in most of Sydney’s metropolitan area locations. Don't let your home come to this, as illustrated in the video. This was shot by our friends at Page 2 video productions. The white ant activity was so bad, unfortunately the whole house had to be demolished! Need help with charging or replenishing termite reticulation systems? We offer very competitive rates for this service, which comes with a 3 year warranty. We are compliant with The Hills Shire Council regulations. If you need help with certification through Baulkham Hills Council, Call 0417 251 911 for free quotes and advice.